Synopsis: Joel Smith, soon to graduate from college, is headed home after hiking and biking Yellowstone with his friend Adam. 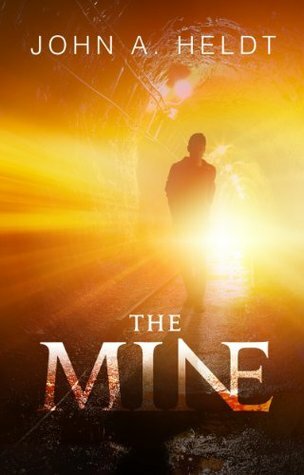 In Montana, while stuck at road construction, Joel takes a detour and ends up at an abandoned gold mine. It is on this day that six planets align with the sun and he is transported fifty-nine years in the past after venturing into a chamber off the main mine tunnel. Once in 1941, he makes his way to Seattle where he meets up with his grandmother and her friends. With them, he experiences Seattle before the Space Needle, before the Mariners, on the eve of `the US entering into World War II… History he had only read/heard about or watched via movies. He falls in love with one of his grandmother’s girlfriends and eventually has to make a decision on whether to stay or try and get back to the year 2000 when the planets once again align. Will he stay with his love or will he go back to Montana and the gold mine? My Thoughts: I love the humor that the author has injected into the story through descriptions and dialog. For example “The tallest building, an enclosed, silo-like structure, rose eighty feet and leaned five precarious degrees off its vertical axis. Gravity and the elements had rendered it a bowling pin for the next earthquake.” I found myself chuckling quite a bit at oddball descriptions in the first part of the book. As the romance starts developing,the humor decreases (or I just didn’t catch all of it). Because I am an Oregon native, the Pacific Northwest setting was a plus. I enjoyed the descriptions of 1941 Seaside and was happy to see that the author made an effort to be historically correct in the book with the various locations, including Seattle. I found the writing to be at a higher level than a lot of books and so would recommend this book for late teens and older. Note: I received a free copy of this book for an honest review. This sounds so good, you’re right, that cover is perfect.